Skirret is a great tasting root crop with many useful attributes. 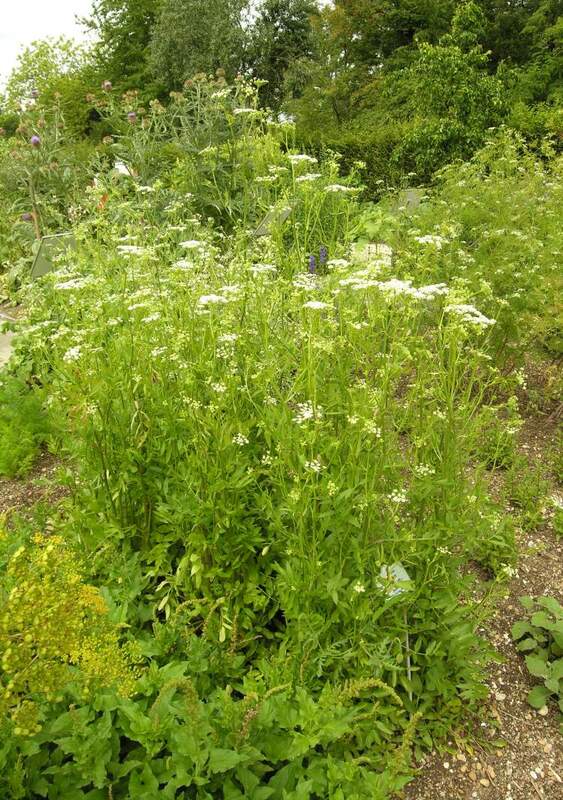 Above ground, Skirret is a small to medium-sized herbaceous plant. 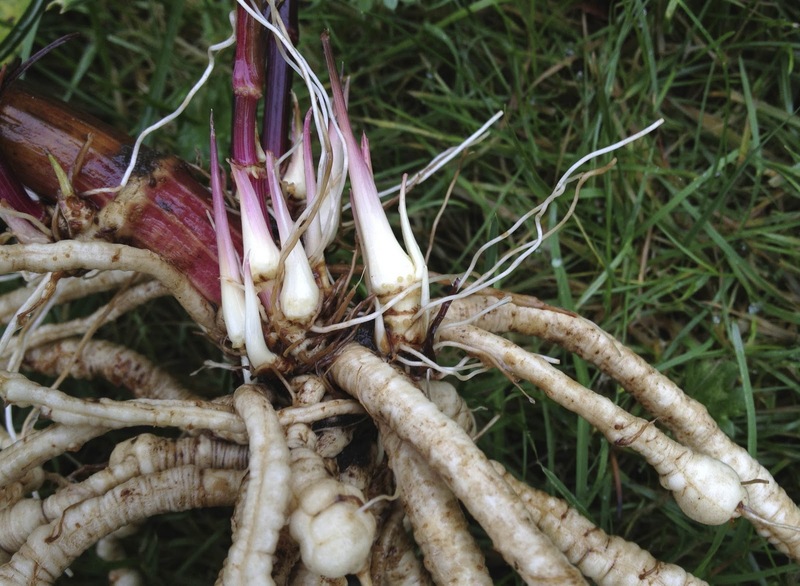 Skirret was once a very well known small to medium-sized perennial root crop. Its bright white, pencil-thin roots are sweet and said to have a flavor somewhere between potato and parsnip. Unfortunately, this is one plant I have yet to taste. I keep my eyes open in my travels through the U.S., Europe, and the Middle East in hopes of finding some to sample one day. Botanical illustration of Sium sisarum. 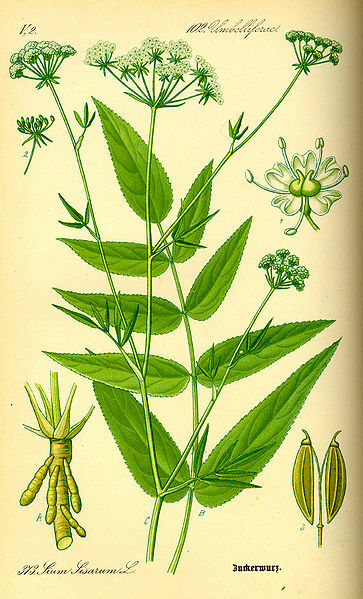 Likely originating in China, Skirret made its way to Europe early in the Middle Ages where it was a primary root crop. Unfortunately, Skirret was rather quickly replaced by the potato (from South America) given that potatoes are a larger, more easily cleaned crop. 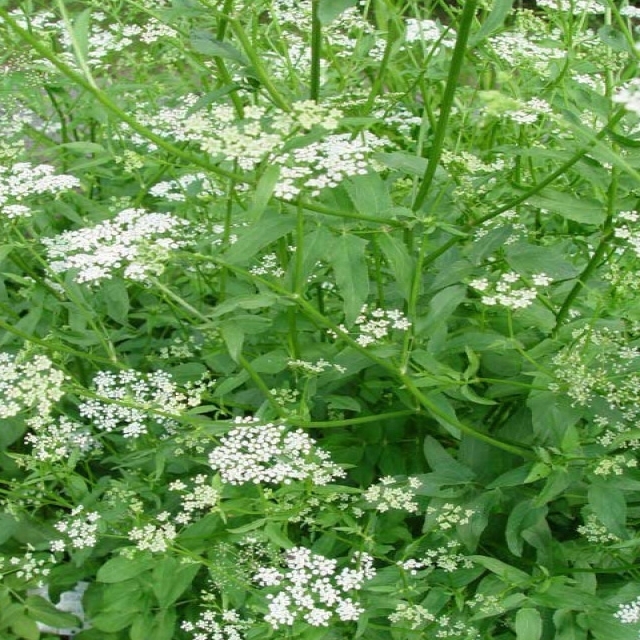 However, skirret is still used widely through northeastern Asia. The name “Skirret” comes from the Dutch “Suikerwortel” meaning “sugar root”. 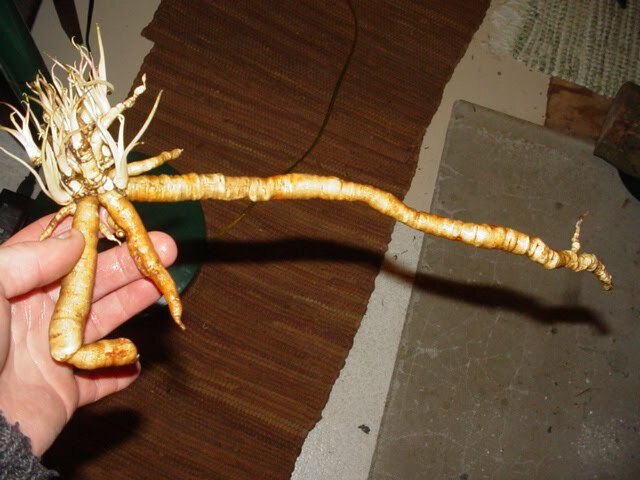 The wild ancestor of Skirret grows on the banks of waterways. This shows how tolerant skirret is of moist soils. 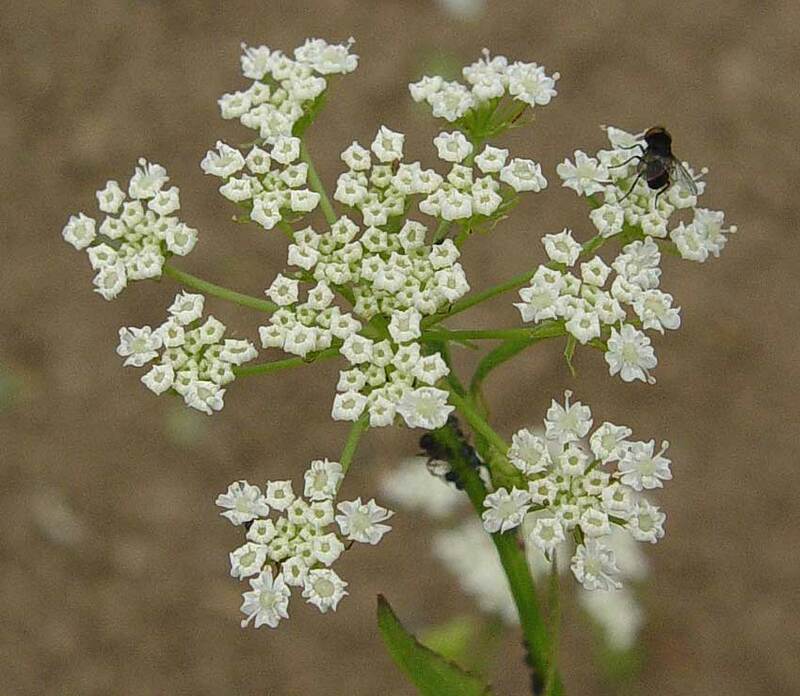 Pliny the Elder stated that Skirret was a favorite vegetable of the Emperor Tiberius. 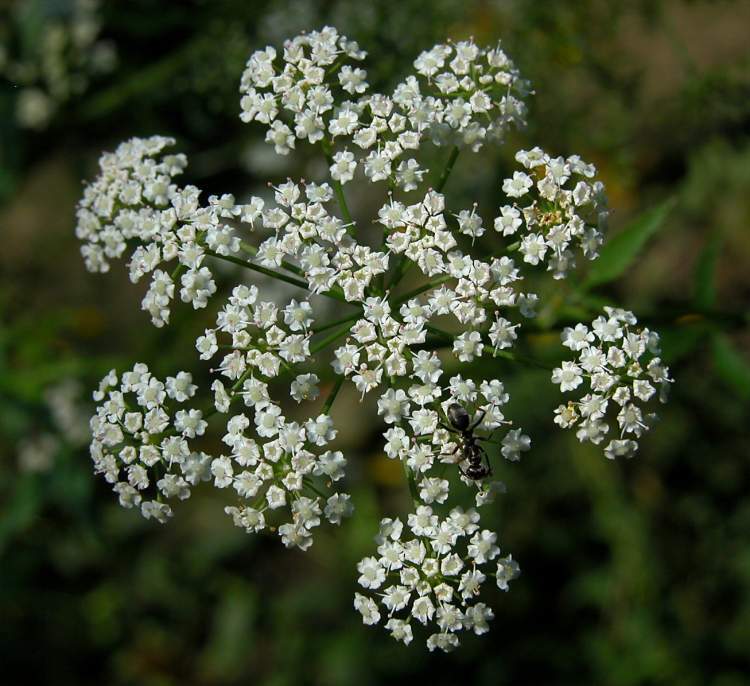 Skirret flowers are attractors of beneficial insects. Harvesting: Autumn – Winter (October – March) after the foliage is killed by the frost. Skirret becomes sweeter with frosts like carrots and parsnips. Break the individual roots free and scrub the dirt off with a brush under running water. If you have a plant with a woody core, then the sweeter, softer root surrounding the core needs to be cut to scraped away first – try using a vegetable peeler. This emphasizes the importance of choosing higher-quality, woody-core-free cultivars. Storage: Store like carrots… unwashed/uncleaned and wrapped in plastic and stored in the coldest part of the refrigerator, or unwashed and stored in straw or barely moist sand in a cool, high-humidity location like a root cellar. Keep the roots whole – if the root is damaged or broken, use them fresh instead of stored. Can be stored with other root vegetables like potatoes. Should not be stored near/with fruit (like apples), since they give off ethylene gas that can cause spoilage or off flavors. 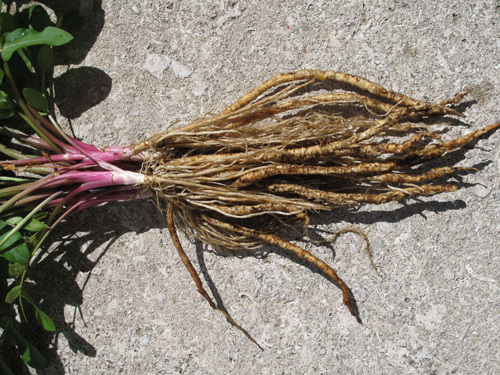 Skirret roots can have a variety of forms depending on the soil conditions. Chill Requirement: Since this is a root crop, a chill requirement is rather irrelevant; however, this plant does appear to produce better in areas that are a bit colder. Also, flavor seems to get better with below freezing temperatures. Cultivars/Varieties: There are a number of unnamed varieties available. Be sure to find one that is free of a woody core in the roots. It may take some time and a few sources to find a good, high quality parent plant that we can propagate on our land. Life Span: No good data as this plant is harvested and split well before its lifespan reaches its end. Skirret can tolerate shade and wet soils… a great plant for those “tough” locations. Moisture: Can tolerate high moisture levels, but does not require them. Skirret can tolerate rather wet and/or maritime soils. It appears to grow the best tasting and least fibrous roots in rich, moist soils. Propagation: Very easy to divide from the root. It is a classic “plant/replant perennial” plant… i.e. we can harvest a plant, take some of the roots for harvest and replant some of the remainder in the original hole and the rest in new locations where it will grow into a new plant. Skirret can be grown from seed; however, the new plant is typically inferior to the parent plant.